People downsize for many reasons. For some, their families have ‘flown the nest’ and it’s time to replace the large family home for something smaller and easier to maintain. For others – particularly those without kids – apartment living has become a popular alternative to buying a large home. For others again, it’s simply a matter of money. It’s cheaper to live in a smaller home. Regardless of the reasons, it is possible to create an attractive, trendy and comfortable space to live – particularly with small house decorating ideas to inspire. The new word on the interior design street is that ottomans and poufs are no longer simply somewhere to rest your feet. No longer something that clutters up space, these nifty pieces of furniture can now double as extra storage. 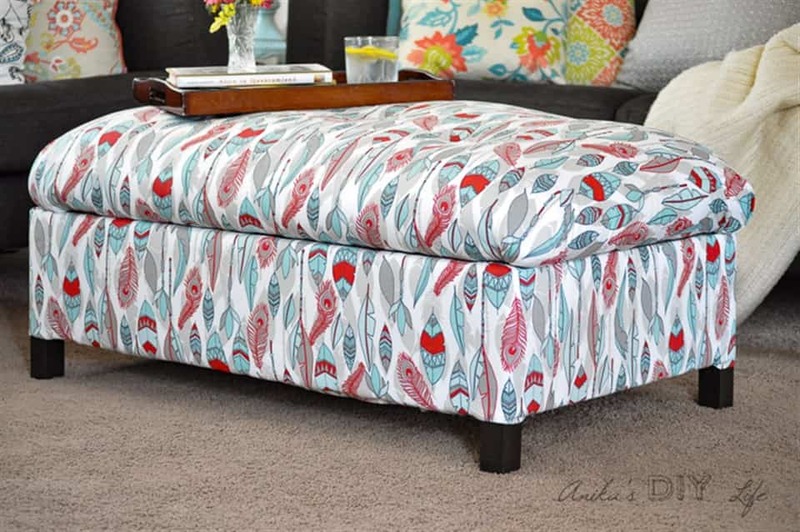 So don’t just settle for any old footstool anymore, storage ottomans are the new black. The good news is that they’re not only practical, but they come in many styles, colours and patterns to suit your own personal style. Whether you want something round, square or rectangular or a fabric that’s velvet, leather or rattan, make sure yours has storage! The perfect pouf for the small home. 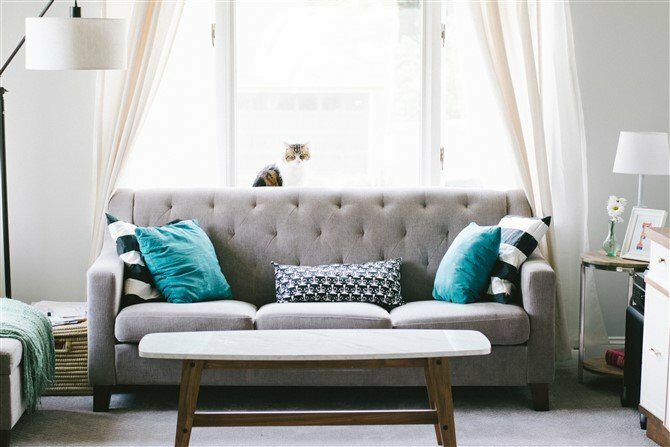 The most unexpected way to create the illusion of more space in a small home is to hang curtains as high as possible putting the rod really close – about 5 cm – to the ceiling or, more specifically, to your crown moulding. Another trick is to extend the rods out past the end of the window or door, giving the perception that the window or door is bigger than it is. 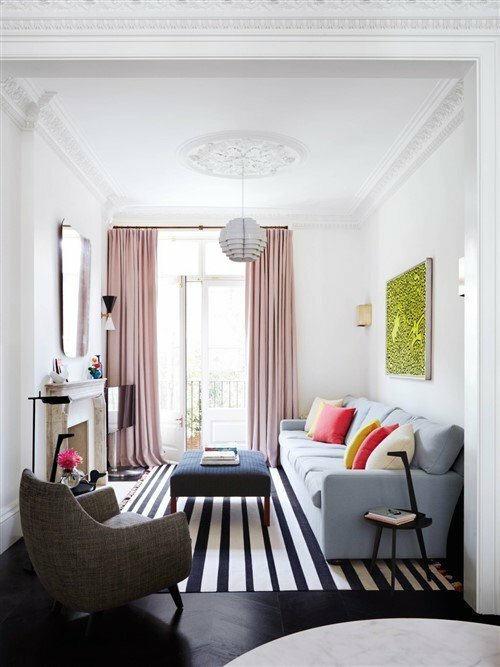 Sheers, neutrals and striped fabrics are ideal for small spaces as they add height. According to SFGate, heavily coloured horizontal patterns and florals tend to ‘dominate a room, creating a feeling of less space.’ Good to know. We’re not talking about some magic trick here, but the magic is in the art of interior design. With a small space, it’s often difficult to fit all your furniture in against the walls, particularly if your home has lots of windows. So the idea is to ‘float’ or position your furniture in the middle of the room, creating an island featuring your sofa, dining table and side tables – ideally on top of a rug. 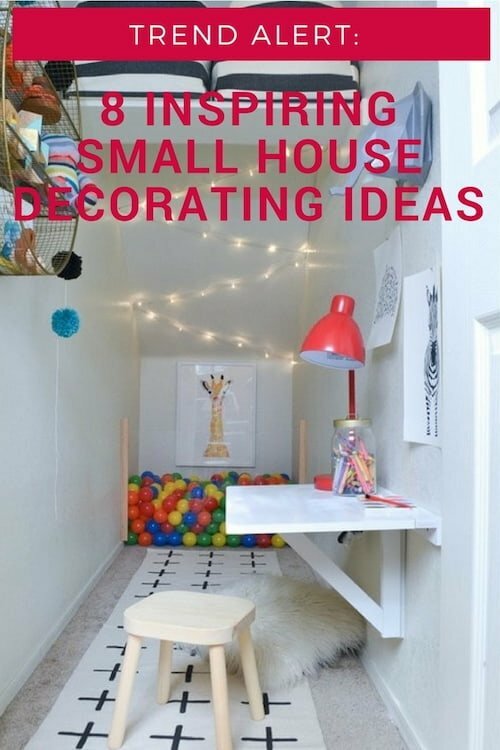 In a small space, the idea of floating your furniture can – according to Apartment Therapy – enhance traffic flow, better divide a room without the need of a wall, create a sense of intimacy and take advantage of a focal point. Having furniture away from the wall in a small space can create more volume. It’s the oldest trick in the interior design book, but it’s such a good one that it must not be forgotton. 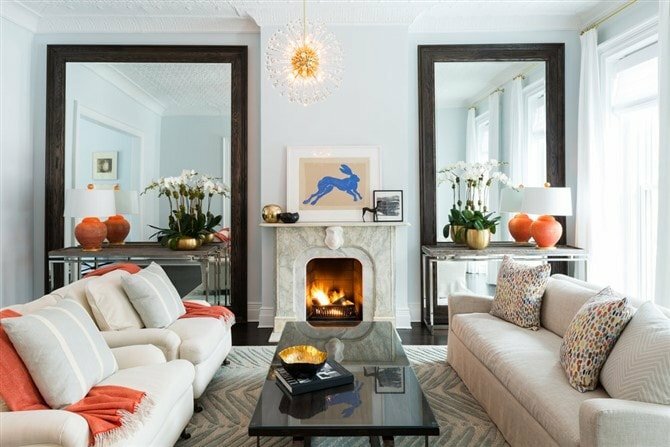 Including mirrors in a small home will create the illusion of more space, making a room appear bigger than it is and much less cluttered and claustrophobic. With mirrors, you can either use a large one in a room or twin two matching mirrors together. Alternatively you can cluster a number of mirrors. In fact, a great DIY idea is to visit a second-hand shop, purchase some affordable mirrors of different styles and shapes then paint them all the same colour to match. Voila! Style and space all at once. As well as opening up a space, when a mirror is well placed in a room it can also enhance views, make the most of natural light and simply add pizzazz. Another way to decorate like a pro in a small space is less about providing the illusion of more space and more about creating beauty within the space you have available. Wall space is one of the most important assets in a small home, so don’t clutter all your walls up with furniture. 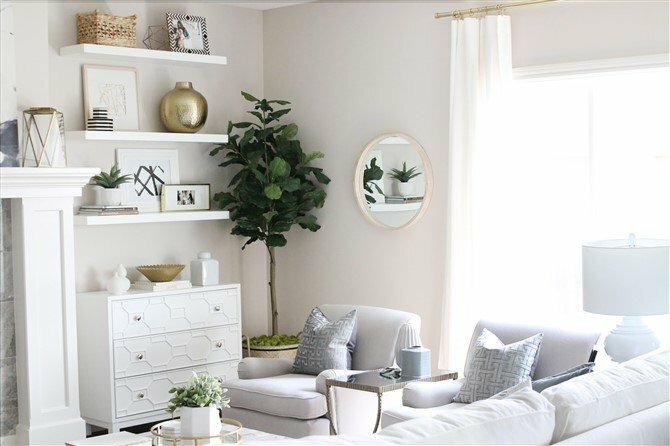 Be sure to leave some wall space aside for shelving, ornaments, plants and artwork. If window space is at a minimum, open up your home by featuring a beautiful art or photo canvas print. If you’re lost for what to hang, choose an image from our library of 20 million photos and art pieces. Measure the wall space available to you and super size your canvas to suit that space. It’s an imaginative way to create your own window to the outside world. When painting a small space, two key things can go wrong. 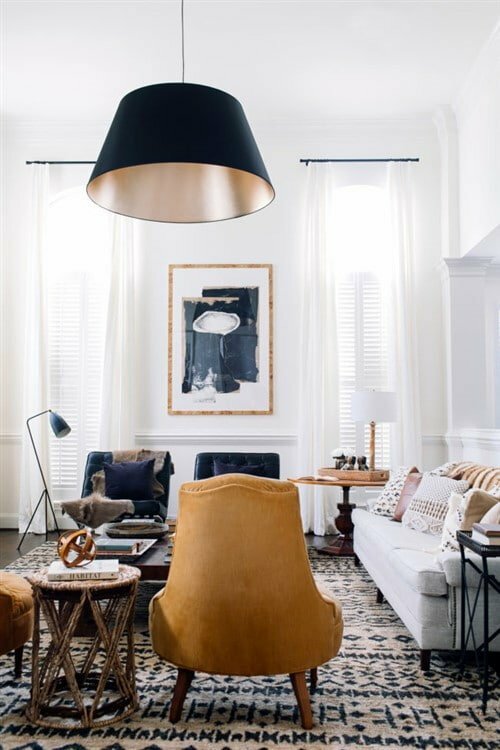 You use dark paint throughout, creating an oppressive feeling or you use neutrals throughout, creating something airy but boring. That’s how powerful paint can be. According to The Spruce ‘lighter and cooler colours tend to recede; they appear farther away. Darker colours and warmer colours advance; they appear to move towards us.’ As a result, we can use different types of paint colours throughout a home to control the feel of a room. paint horizontal stripes to make a home feel longer. 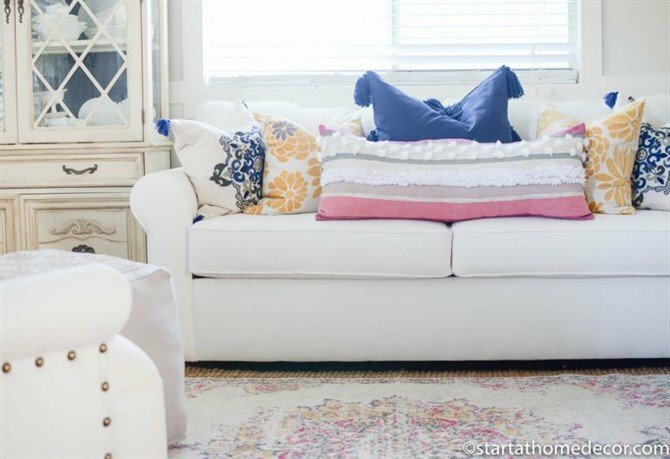 To give a small space some personality, accent neutral paint with bright accessories like rugs, cushions, throws and artwork. It’s OK, we’re not suggesting you channel the Harry Potter books and create an entire bedroom, but don’t be afraid to think outside the square and use the space available to you under the stairs for more than just storage. 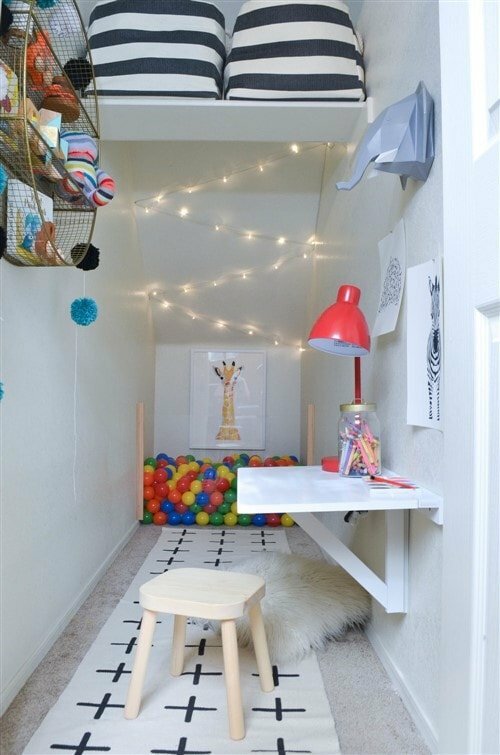 Creative ideas to consider include a playroom, a reading nook, an office, a library, a powder room or wine storage. Genius! Fool your brain into thinking you’re footloose and fancy free by maximising natural light in a small space. Whether it’s an entire home or just a room you’re trying to enhance, natural light is your best friend. No curtains or sheer curtains will help invite any natural light available to you, but if your windows are small or your building is shaded, you can also creatively use artificial lighting fixtures. Don’t let furniture or other objects obscure a window as this will inhibit the amount of light that comes in and use strategically placed mirrors to reflect light back into the room.